Data centre fires and false alarms account for the longest periods of facilities-related data centre outages – in excess of twenty-four hours on average. Targeted fire-safety management training for data centre professionals will reduce this. Data centre fires and false alarms account for the second biggest cause of facilities-related data centre outages (after power cuts!) but account for the longest periods of downtime – in excess of twenty-four hours on average. Targeted fire-safety training for data centre professionals will reduce this. 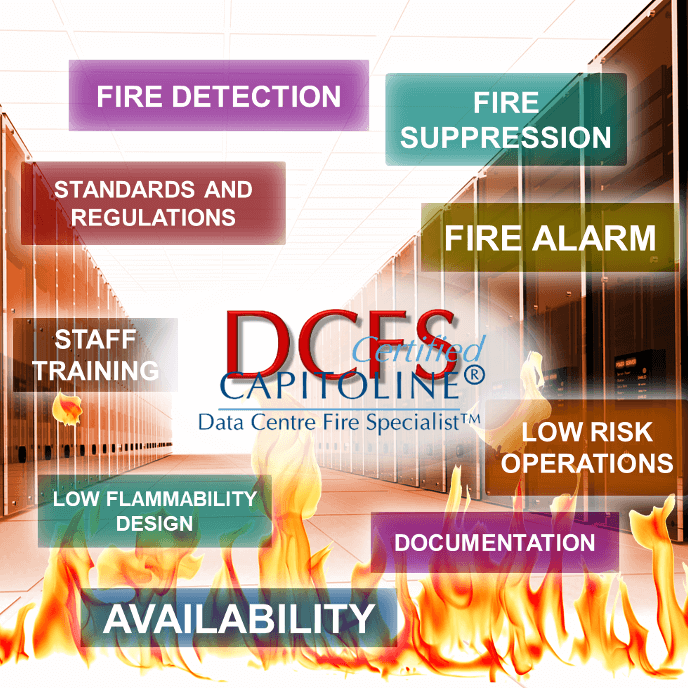 Capitoline has introduced the world’s first management training programme that covers all aspects of fire safety management in the data centre environment and includes all necessary documentation templates to meet all regulatory and best-practice requirements. Capitoline’s statistics show that after removing IT-related issues, fire incidents are the second biggest cause of facilities-related outages. After power issues, fire incidents account for 21% of outages and false alarms or other fire equipment malfunctions account for another 5%. What should often be a minor incident, swiftly dealt with, usually turns into a major outage due to a host of management problems and as a result fire and related incidents account for 51% of actual facilities-related downtime in a data centre. A ‘real’ fire incident averages twenty-five hours of downtime and a false alarm or malfunction averages seventeen hours of downtime. The outage led to a more than a five-hour delay in opening Nordic and Baltic stock and fixed-income markets. Affected trades included Copenhagen, Helsinki, Reykjavik, Riga, Stockholm, Tallinn and Vilnius.